Unused gadgets, books and almost everything which you wont use for long time may go to garbage only.. How about giving it to some one who may need it. As it was no use for you why don't give it for free. Mt friend Ravi Ghosh was telling about the Freecycle group on web and he created a Facebook group for people to freecycle. 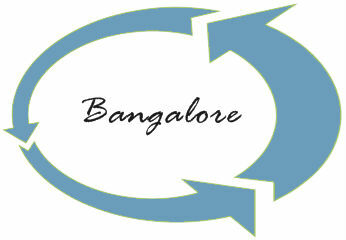 Nice initiative by Ravi to bring Freecycle Bangalore to bring to Facebook which made more freecycling opportunities. Wiki says - "Freecycling, or free recycling, is the act of giving away usable unwanted items to others instead of disposing of them in landfills"
Ravi says always - "Rule for unsed - If you have not used it for last 6 months, you would probably never use it and never can sell it at a price worth selling.". Freecycle Bangalore is an unofficial FB group based on the concept of freecycling. WHAT'S THE PURPOSE: Give goods that you don't need/use anymore to someone who might make use of it at no cost, absolutely FREE. also go through the About and Rules and Regulations sections before you start freecycling. Start Freecycling and once used, if you feel its of no much use to you... freecycle again.